We have started a Grey Library to list "grey literature" that we think that could be useful for EURAF followers. EURAF thanks the effort of the ISA-UTL library in the support for hosting the storage of this initiative. The RCAAP system is being used as the storage architecture and all the documents will be stored here and available to public. 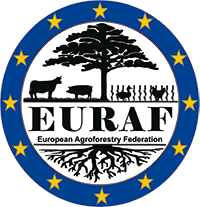 The contents of the storage are listed here in the EURAF webpage through RSS mechanisms. This is still under experimentation... so please be patient if this is still not taylored to your needs.